For the second consecutive year, Billie Ray Martin makes a contribution to our High Fives feature. We’ve been looking forward to this one because the 2012 selection featured some great songs and artists which were new to us at MusicRiot. We weren’t disappointed. Please take a bit of time to check out the links; it’s worth it. 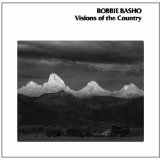 Robbie Basho’s tenth album “Visions of the Country” (originally released in 1978) was re-released this year after being unavailable for over thirty years. Although he’s remembered for his innovative guitar stylings and tunings and attempts to integrate western and oriental music, the standout feature on this song is the powerful counter-tenor vocal with incredible vibrato. He died at the age of 45 in 1986. 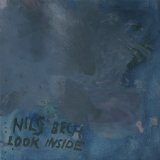 The first of two selections from the Norwegian performance artist Nils Bech’s 2013 “Look Inside” album, this is an intimate arrangement with a minimalist acoustic piano and beautiful sautillé strings under a close-miked vocal which deals with a relationship falling apart. 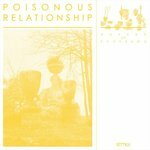 The final third of the song mirrors the break-up with a descent into atonality from the string section. 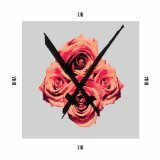 Xiu Xiu is an American experimental indie band which has existed in various guises since 2002. This song is from the recently- released album of Nina Simone covers, “Nina”. The arrangement is almost completely percussion-free, with rhythm supplied by a horn section and one guitar and shifts from fairly traditional horn arrangements (with the guitar taking one of the horn lines) to free-form jazz. Singer Jamie Stewart delivers a vocal which is just this side of a deranged, creating a version which, incredibly, is more over-wrought than the original. This follows directly on from “Breaking Patterns…” on the “Look Inside” album and is the next part of the narrative sequence. The song opens with acoustic piano backing before settling into an electronic percussion and keyboard arrangement underpinning the lyrical theme of the inevitable jealousy towards an ex-partner who has moved on; it actually has a feel of the Abba song “One of Us”. Both are standout songs, but you really should listen to the entire album. This is a contemporary track which takes its influences from the early ‘90s when house started to incorporate breakbeats into the 303 and 808 backing tracks. It has a feel of Jamie Principle and, towards the end, a hint of the jazz-funk of NuYorican Soul. It’s the lead track from the androgynous Sheffield artist Jamie Crewe’s “Garden of Problems” EP and it’s hypnotic and gorgeous.